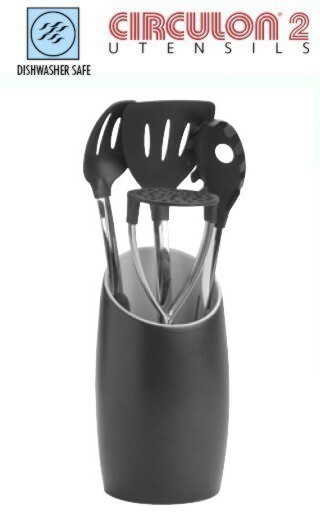 This set is recommended for use with all types of cookware whether non-stick or plain surfaced. It consists of a ceramic pot, slotted turner, slotted spoon, spaghetti server and masher. Easy grip, slip free handle for a soft, cool and confident grip. Nylon heads, heat resistant to 180°C, 350°F or Gas mark 4.